The anti-trade, China-hating, White House trade policy adviser Peter Navarro will attend a crucial dinner meeting between President Donald Trump and his Chinese counterpart Xi Jinping in Buenos Aires on Saturday, after he was initially left off the guest list, reports The South China Morning Post. 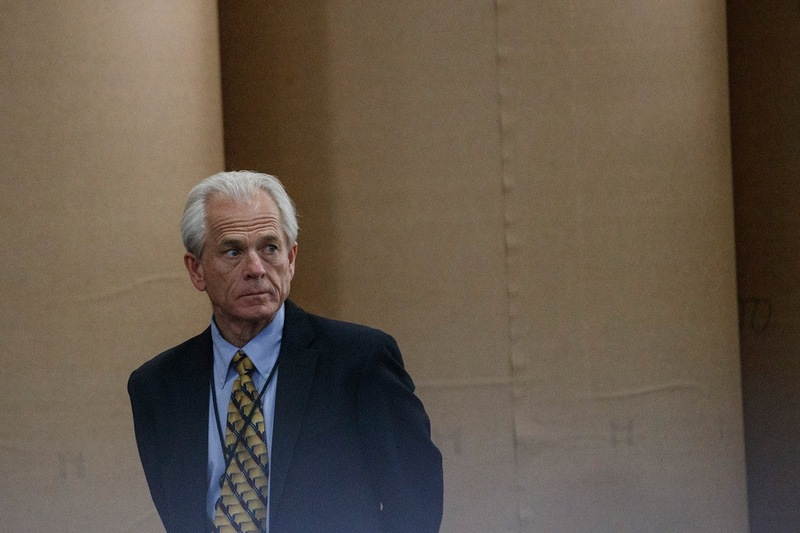 The New York Times reports that the inclusion of Navarro into the Trump delegation took place after US Trade Representative Robert Lighthizer, another trade-hater, authorized Navarro’s travel. Navarro is likely to join pro-trade Treasury Secretary Steve Mnuchin, Lighthizer, neocon US Secretary of State Mike Pompeo, neocon National Security Adviser John Bolton and pro-trade White House economic adviser Larry Kudlow to accompany Trump at the dinner. The fear is, of course, that Navarro will have the opportunity to get in Trump's ear and advocate for a hardline position against China and kill any chance for a trade deal. After the SCMP story about Navarro's attendance hit the wires, stocks fell to their lows of the day, with the Dow briefly losing more than 160 points.